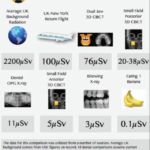 Reducing the exposure of people to radiation is of prime concern when we use X-rays for treament or diagnosis in dentistry. This is why in 2010 we invested in digital radiography equipment. There is a risk and benefit to all treatments. 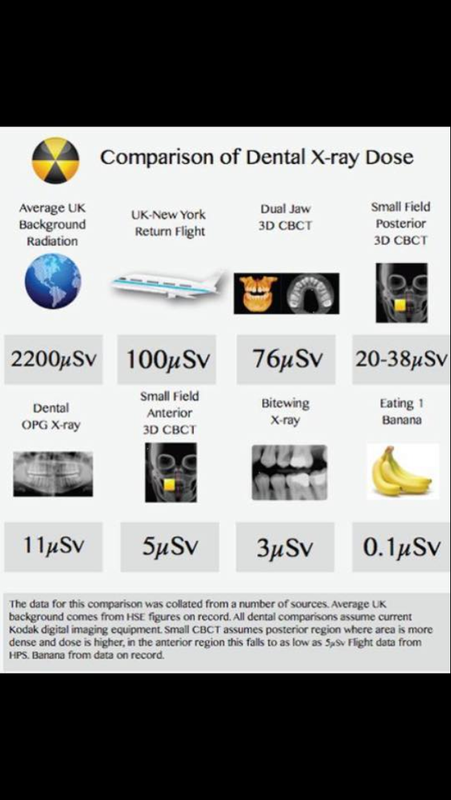 The amount of radiation from a standard set of intra-oral dental X-rays (e.g Bitewing x-ray) is comparatively very low – studies have found one dental X-ray (Bitewing x-ray) is equivalent to consumption of 30 bananas. 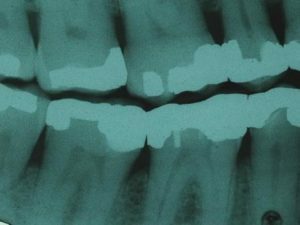 We would recommend that general diagnostic dental X-rays for most people every 2 years will significantly reduce the risk of undetected decay and irreparable tooth damage (see photos). 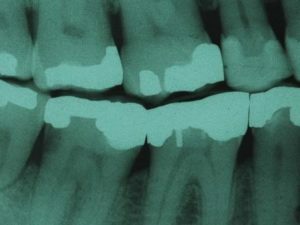 We feel the benefits of dental X-rays are far outwieghed when compared to the risk. 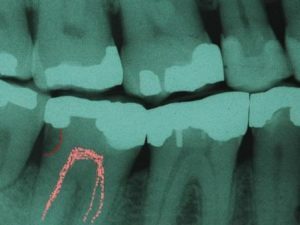 Why do we need X-rays in dentistry at all? Decay usually occurs in areas hard to clean such as the flossing surfaces of the teeth. The decay in the above photos occured in les than 18 months and could not be detected easily in the mouth due to its position under the gumline. If the decay reached the nerve of the tooth there are two options for treatment. One involves complicated and expensive root canal treatment (which needs several X-rays to complete) or removal of the tooth (which needs an X-ray to assess the risk of permanent nerve damage, breaking the root, damaging the sinuses etc). If one took the approach of simply removing painful teeth and avoided any X-rays, then apart from the risk of permanent nerve damage or complications, the end result will be a poor ability to eat good healthy food. The outcome of this is an increased risk of poor health and bowel cancer from poor nutrition. This is why we try to balance the risks and benefits of treatment. The best way to avoid health risks is a balanced diet, no smoking or alcohol, excercise, and resuce stress. For your teeth you should have 6 monthly dental checks, brush twice per day, floss every night, and eat a healthy diet with fewer processed carbohydrates. Dental X-rays can help in our battle to maintain a healthy mouth for longer.